A project started by Carolina, Native Immigrant (NI) is two things: a rolling community arts project that began in Montreal, Quebec in 2013, and a provocative proposition that we all join forces in loving the land, rather than allowing economics, stereotypes or false categories to define us. NI is inclusive both as a project and as an idea. After all, other than First Nations, we are all immigrants, the only difference being the dates of our arrival. The first Native Immigrant event, in the winter of 2013, was taking shape just as a new chapter in Quebec politics was also unfolding—the Charter of Values, an attempt by the provincial government to make us all “embrace” local values. Sadly, these values did not take into account the real make-up of today’s Quebec, a place where many cultures live together, in peace. The notion of “Quebecoi de Souche,” original Quebecer, makes no sense: Quebec’s roots are French; the only “souche” here, once again, are Native peoples, who, like immigrants, were being excluded from the discussion. So, I decided to translate Native-Immigrant into French as “Immigrant de Souche,” re-rooted immigrant, the one who is mindful of this land, who wants to connect to it. Once again, my intention was—is—to unify, and to put a stop to discriminatory practices and policies that define some as “in,” leaving others on the margins, detractors and outsiders. 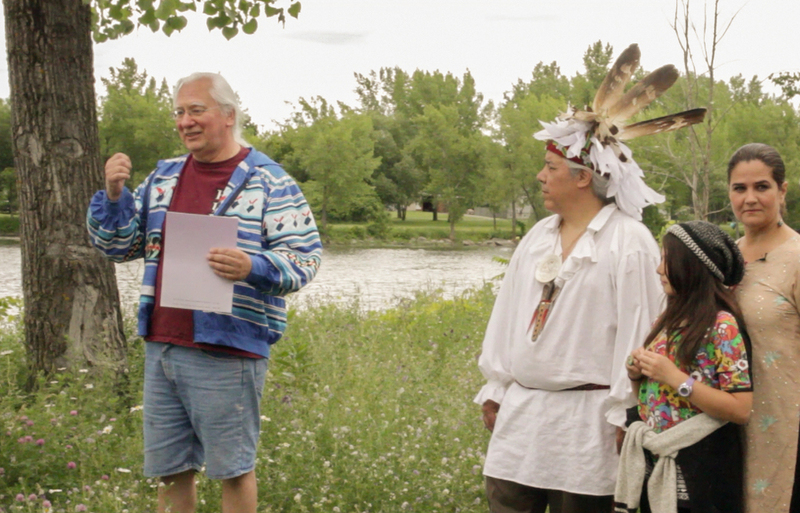 Since then, there have been many more Native Immigrant events, the next one taking place in August 2015: Beadwork: Visions of Peace. 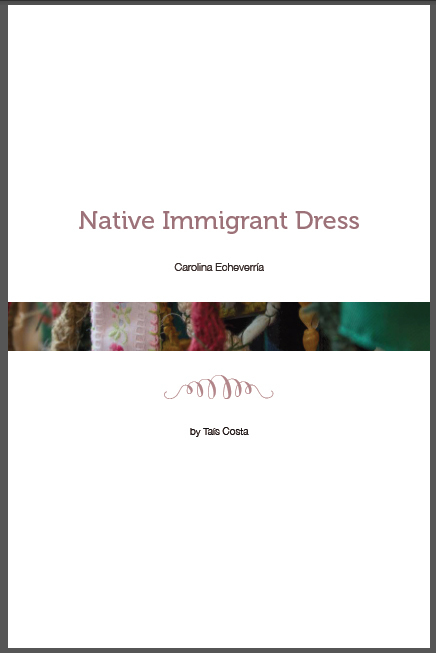 An interactive and collective dress-making activity that takes places over all Native Immigrant events. place over a period of three weeks during the Native Immigrant Exhibit. An original painting was commissioned for the branding and label of a new brand of Olive Oil to come out in the international market in 2012 (La Constanza). 2011 RougeRouge, Saint Sauveur, Quebec, Canada. A series of original paintings were commissioned for the branding and décor of this trendy shoe store. 2011 Corporate Ethics International (USA) and Environmental Defence (Canada). A series of Ascot Hats were commissioned for a public campaign against tar sand oil: Maple Beatrice, Tar and Feathers and Kate’s Road to Avonlea. 2011 Heels & HeART, Montreal, Quebec, Canada. The Annual Wearable Art Fashion Show is a unique fundraising event combining fashion and art to help make a difference. This glamorous soirée brings together fashionistas, art lovers and industry experts to be wowed by the creations of up-and-coming designers. The competition is judged by a panel of industry experts and prizes are awarded for the top 3 designs. With a strong media presence and an impressive list of guests, the event is a great opportunity for emerging designers to showcase their creativity and gain recognition for their talent. All net proceeds from the event are donated to a benefiting charity (selected each year) to help support causes that are close to our hearts. 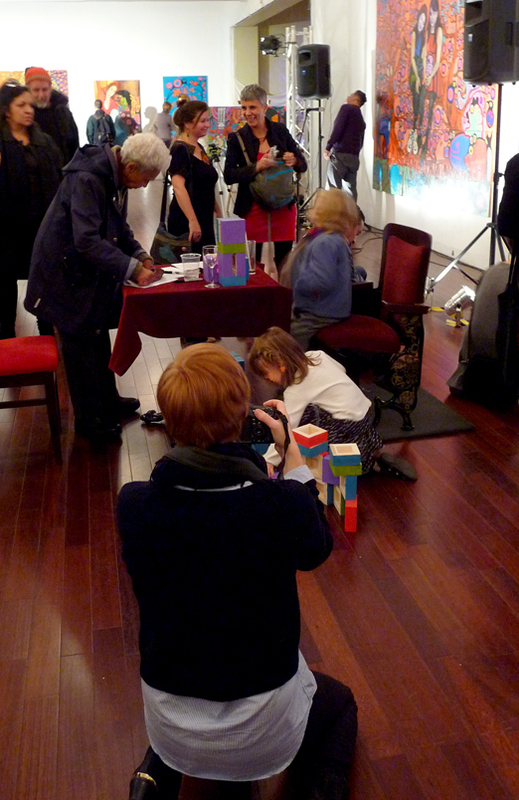 Several commissioned works by private collectors throughout Canada, Mexico, Israel, Chile, Europe and the United States.